Airwheel, a leading smart transportation vehicle manufacturer, launched Airwheel S8, an electric scooter with seat, at the annual CeBIT in Germany 2016, fully reflecting the R&D concept of underlining users' safety from its design details. For the quality and safety issues, the editor has conducted an interview with Andy, director of engineering verification in Airwheel who shared a lot of detailed information about Airwheel and Airwheel S8 saddle-equipped electric scooter in this interview. Editor: we are familiar with such positions as product manager or ID design and acquire little knowledge about verification engineer. Would you like to talk about your responsibilities? Andy：To be simple, the verification engineer is to examine every single link in the production process to guarantee the product quality and safety in use. This is the precondition to hold market share. Tough I work behind scenes, I think I am communicating with the end-user via the product quality itself. Editor: How many stages does it go through, S8, for instance? Andy：My work covers the whole process of a new product, from the early R&D to mass production. There are four main parts for every new product to experience, EVT (Engineering Verification Test), DVT（Design Verification Testing）, DMT(Design Verification Testing) and MVT (Mass-Production Verification Test). An EVT is performed on first engineering prototypes, to ensure that the basic unit performs to design goals and specifications. Even there is only a circuit board and we need to verify the idea and design thought proposed by engineer to revise the anticipated problems in a simple way. After there is model machine, it will enter the DVT stage to test its performance. The DMT and DVT proceed simultaneously. We will simulate various extreme conditions to test the speed and hardness etc. In MVT stage, the attention is paid to the craft, quality and stability etc. Editor: Since last year when Amazon and Overstock.com unshelved electric scooters due to safety and patent considerations, the safety issue of self-balancing scooters, which used to be a blockbuster on foreign markets, has started to draw attention from local governments. What do you think of that? Andy: Quality and safety go first. High standards are helpful for the whole industry, as it indicates an active and healthy direction. Every product of Airwheel is up to or even exceeds the international standards. For instance, IS: the tire lock and starting motor require at least 7 h, and thermal rating of motor coil is Class A (105). Airwheel reaches Class F (155). Submerging half of its bodywork in water for five minutes, our S8 can still work normally and go through charge-discharge cycle for twice while the international standard is to be able to go through charge-discharge cycle for once. In this respect, I am confident with S8. Editor: Would you like to disclose the future plan of safety and quality issues? 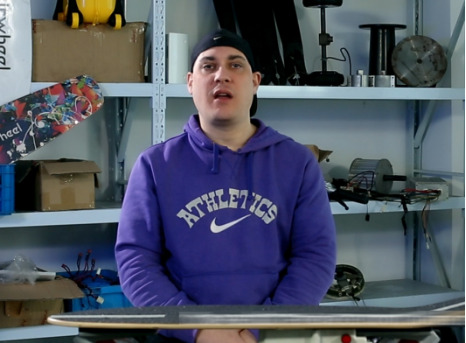 Andy：Since its foundation, Airwheel has taken the safety and quality issues seriously. We will reinforce the status to give consumers the most trust-worthy products. 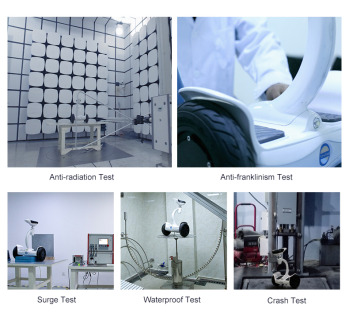 Airwheel is set to construct a comprehensive experimental site, referring to the latest international experimental site and introduce more advanced laboratory equipment to enrich engineering verification.